Join us on the Feast Day of Our Lady of Fatima at St. Mary’s, Stow Hill as we welcome the World Apostolate of Fatima with the National Pilgrim Statue of Our Lady of Fatima and relics of the Fatima Visionaries. On this day in 1917 Our Lady appeared to three shepherd children in Fatima, Portugal. She appeared six times to Lucia, 9, and her cousins Francisco, 8, and his sister Jacinta, 6, between May 13, 1917 and October 13, 1917. During the backdrop of the First World War and just before the Communist Revolution, the Virgin appeared to these children saying “Please don’t be afraid of me, I’m not going to harm you.” She asked the children to pray the Rosary every day to bring peace to the world and an end to war. She told the children she was “the Lady of the Rosary”. Also on this day in 1981 an assassination attempt was made on the life of Pope St. John Paul II in St. Peter’s Square. The Holy Father attributed the miracle of the saving of his life to Our Lady of Fatima. A relic of Pope St. John Paul II will also be made available for visit and veneration. 2:00pm – Statue processed into the church with service of welcome and crowning. 3:00pm – The Hour of Mercy is kept. 4:00pm – 6:00pm – A chance to pray before the statue and visit the relics with Rosary prayed every half hour. 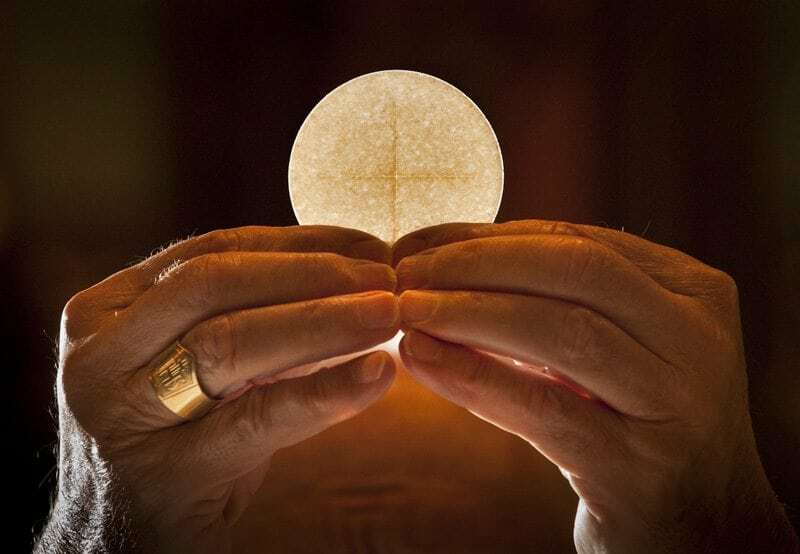 6:00pm – Directed Holy Hour. 7:00pm – Mass for the Feast of Our Lady of Fatima in English with procession around church. 8:00pm – Mass for the Feast of Our Lady of Fatima in Polish. The National Pilgrim Virgin Statue is a hand-carved Image of Our Lady of Fatima blessed by the Bishop of Fatima at the closing of the Jubilee Year on 13 May 1968, and brought to this country the following year. The National Pilgrim Virgin Statue of Our Lady of Fatima, and Relics of Blessed Jacinta and Francisco travelled around the country, visiting various Cathedrals and churches in 2017, which was the Centenary year of the Fatima message, which was given by the Blessed Virgin between May and October 1917. The Pilgrim Virgin Statue was crowned at Walsingham, the National Shrine of Our Lady, by Bishop Alan Clark, Auxiliary Bishop of Northampton, on Thursday, 13 May, 1971, in the presence of more than one thousand people, with a crown specially blessed by His Holiness Pope Paul for the occasion. When Pope John Paul II came to England in 1982, he blessed the National Pilgrim Virgin statue while at the Apostolic Nunciature in Wimbledon.